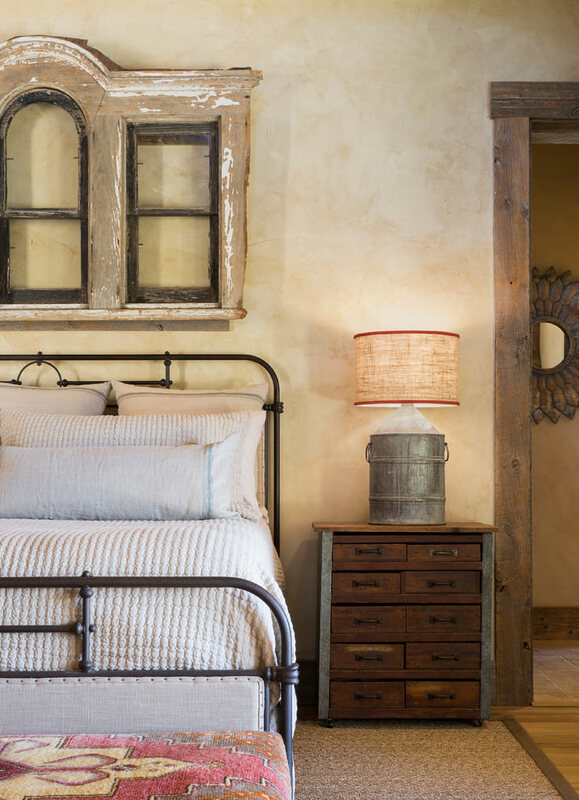 Rustic design gets its inspiration from English, French and Spanish country homes. 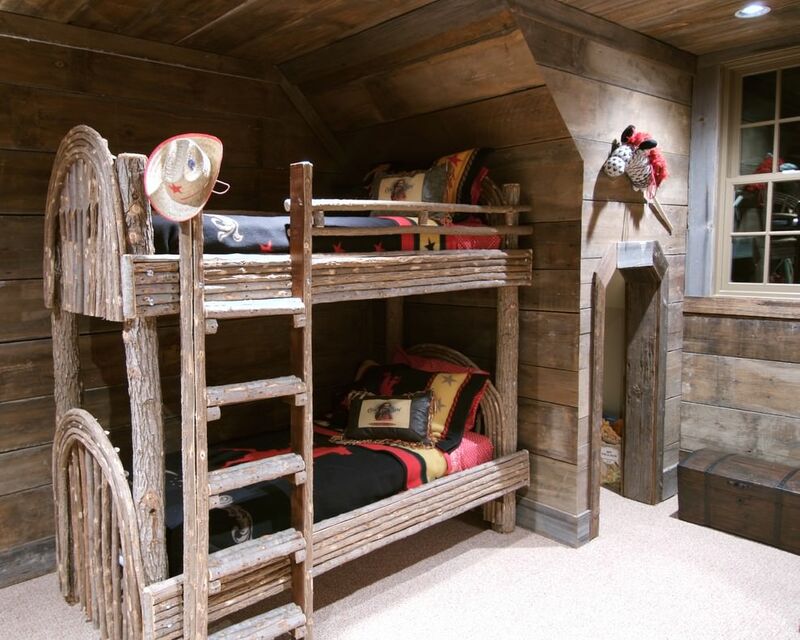 Typical features of rustic design are rugged looks, multiple wooden textures and natural colours, etc. 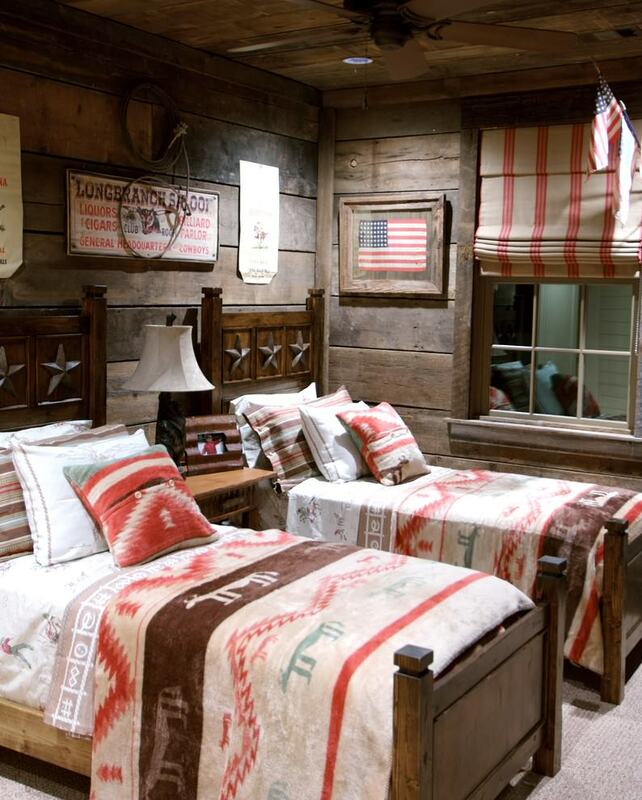 Designing a rustic bedroom can be simple and fun. 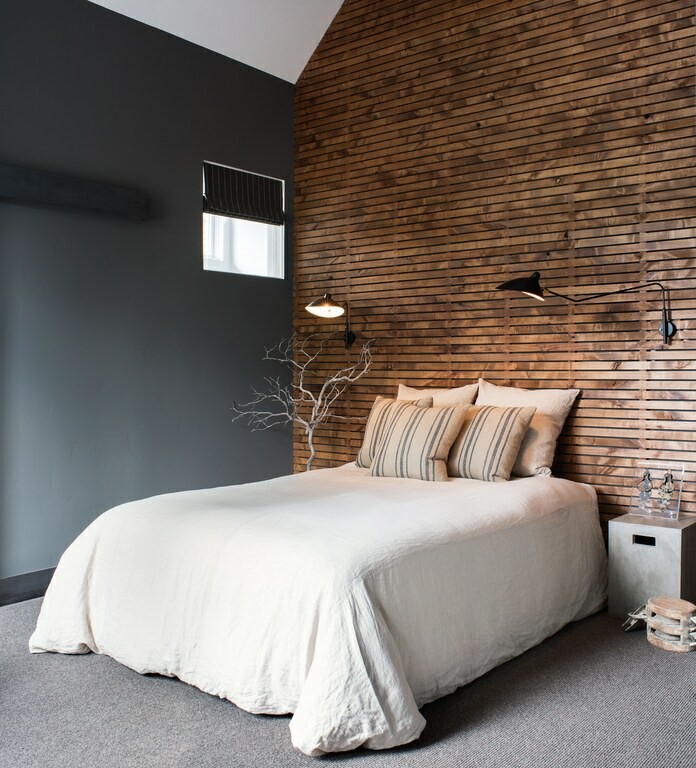 However, if want to give it a carefully studied distressed appearance without it getting chaotic, it might becomes a complex affair. 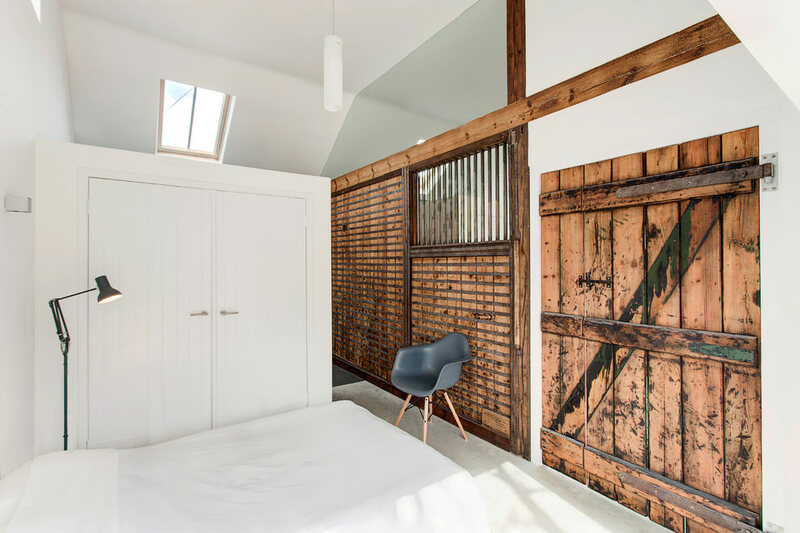 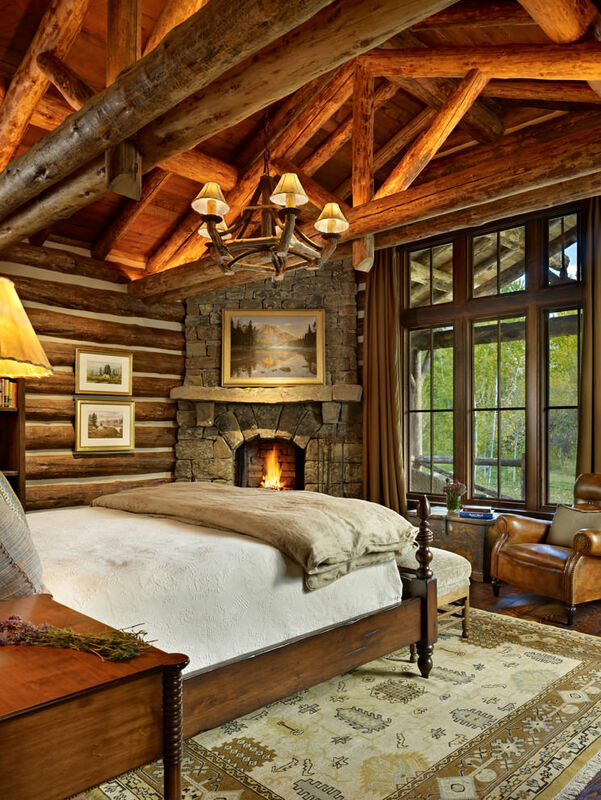 Many country houses and mountain cabins have wooden walls and ceilings, hence wood is one of the most common building material found in rustic rooms. 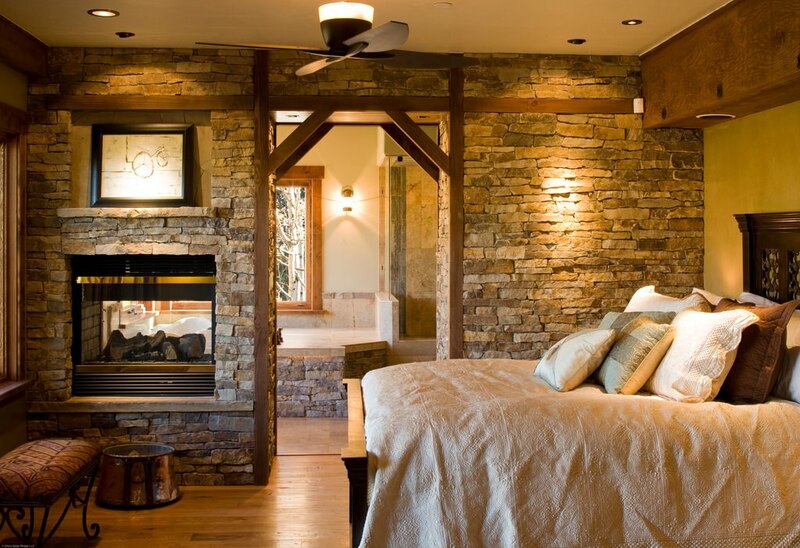 However, you can also achieve a rustic ambience with bare brick walls. 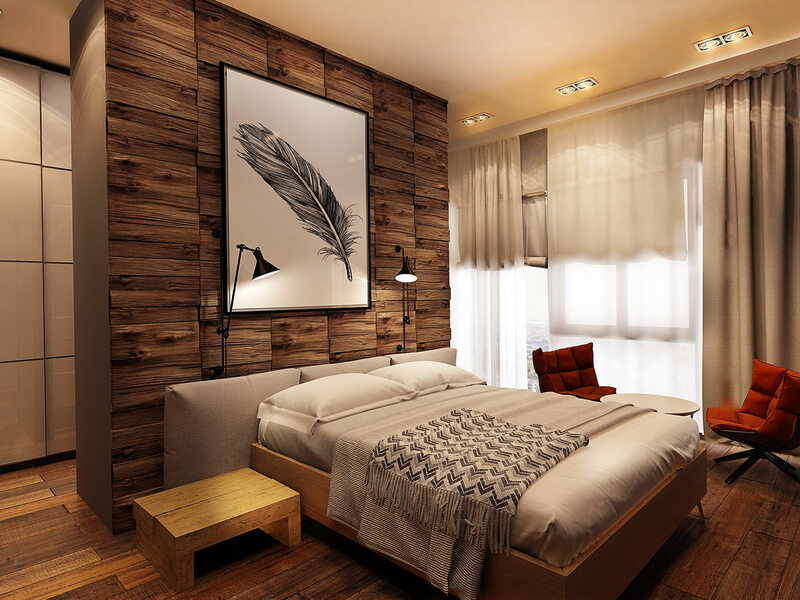 Your furniture, including the bed and dresser will also depend on the degree of rusticity you want your bedroom to reflect. 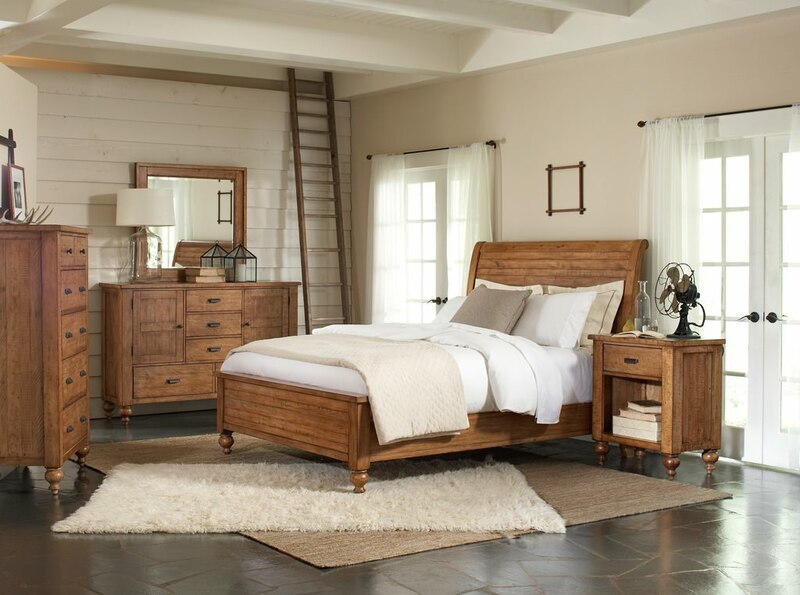 Hence furniture styles can range from antiques and traditional to old, faded furniture picked up at garage sales. 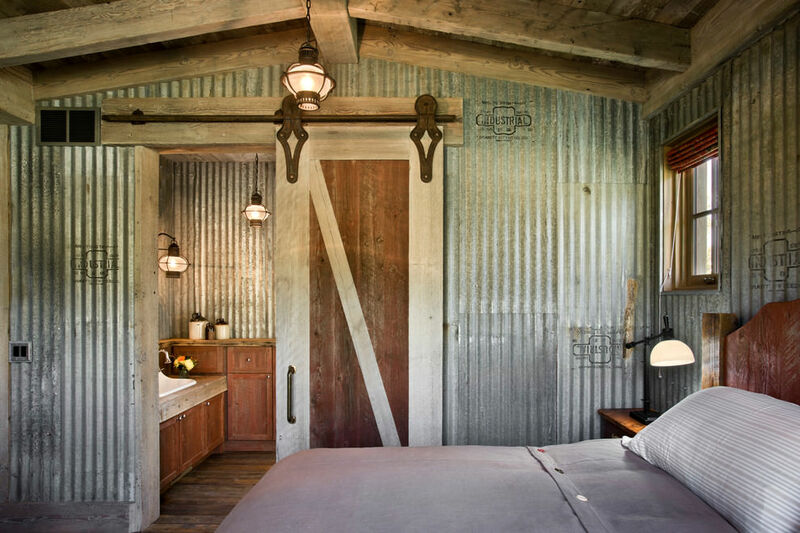 The electric fixtures in your rustic bedroom should also be consistent with the style. 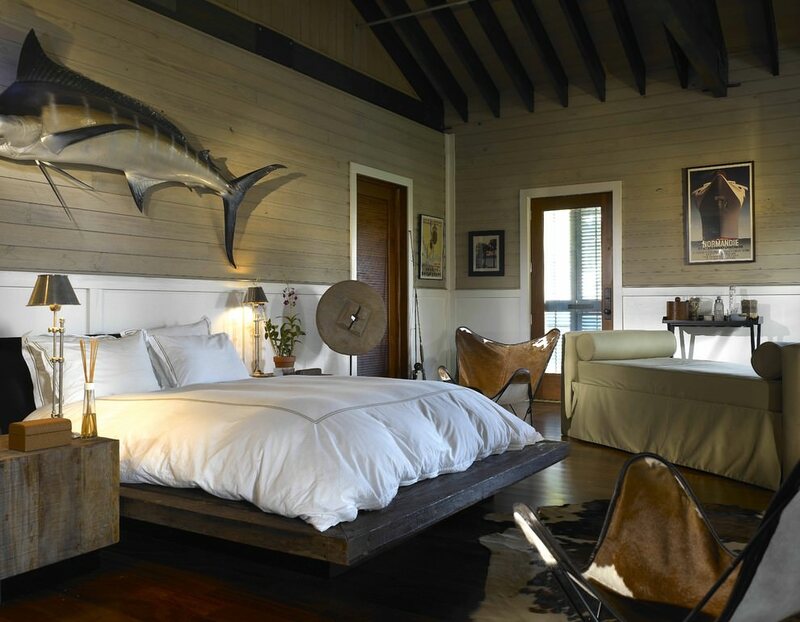 Hence, go with old-fashioned ceiling fans and table lamps. 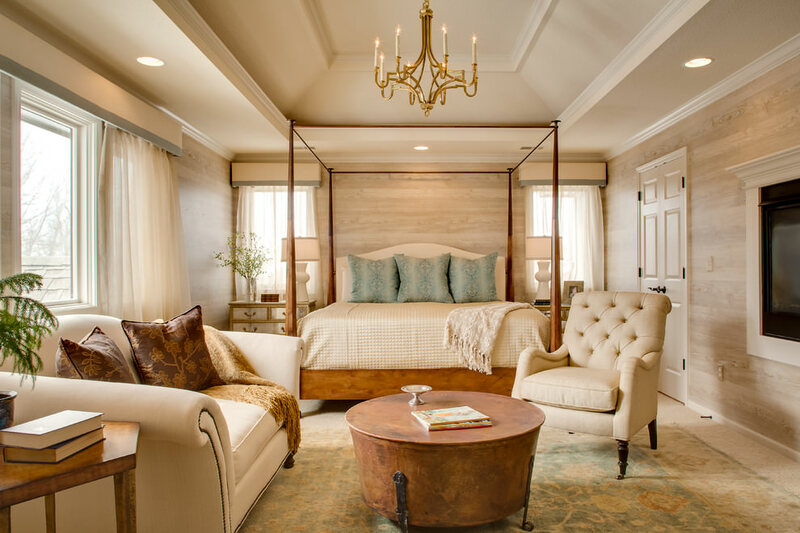 A chandelier may seem paradoxical in a rustic bedroom, but if you must have one, select one that can blend into the ambience. 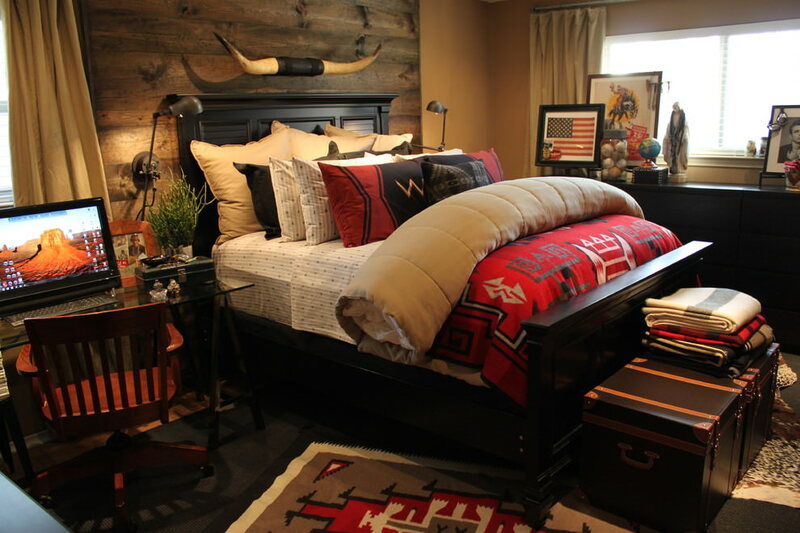 A pair of antlers on the wall above the bed would give your room an authentic rustic statement. 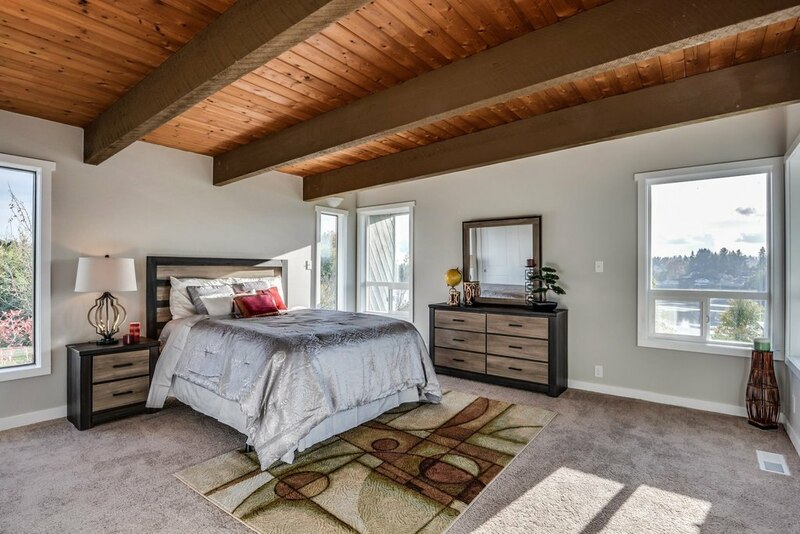 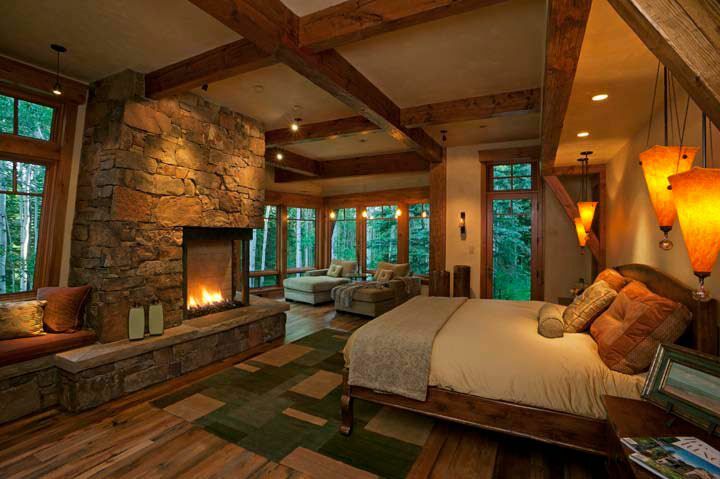 If your bedroom does not have a fireplace, consider installing one with a wooden mantle on the wall above. 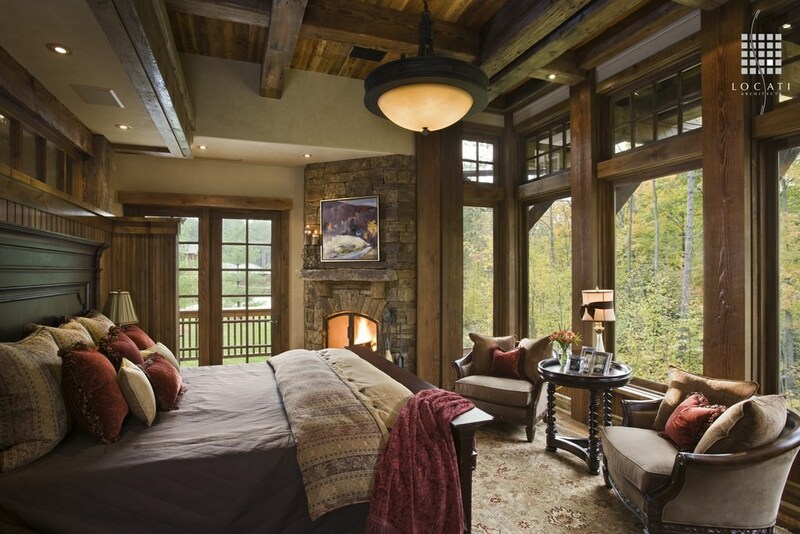 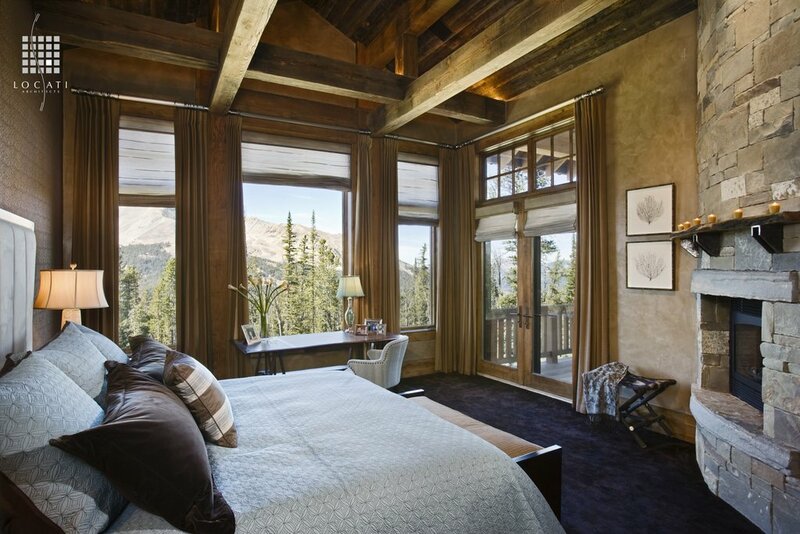 If your bedroom has a balcony, give it the full treatment of a rustic porch, complete with a wicker table and chairs. 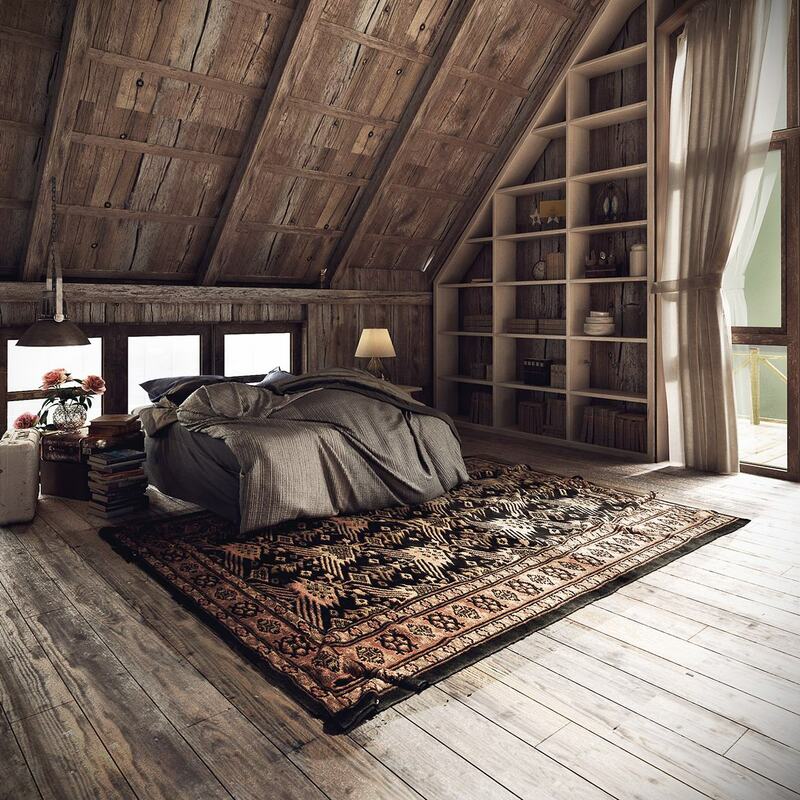 You could also use wicker to decorate the ceiling. 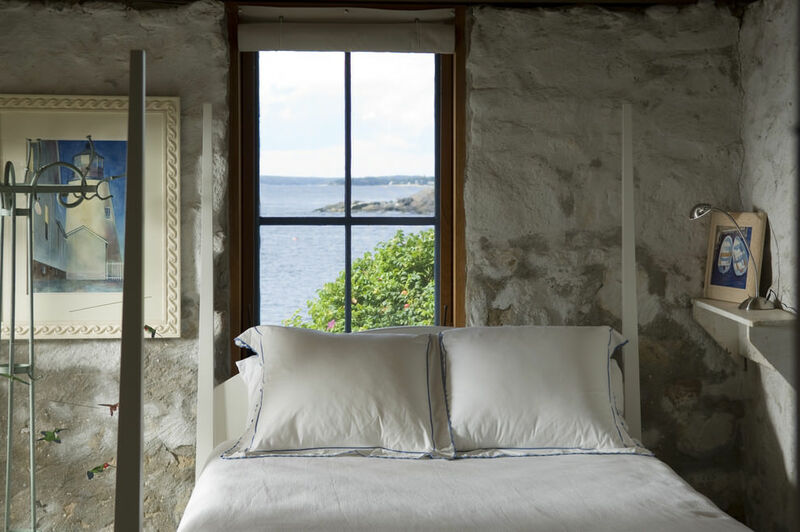 If you have a window to the lawn, consider designing a French window with a rustic look. 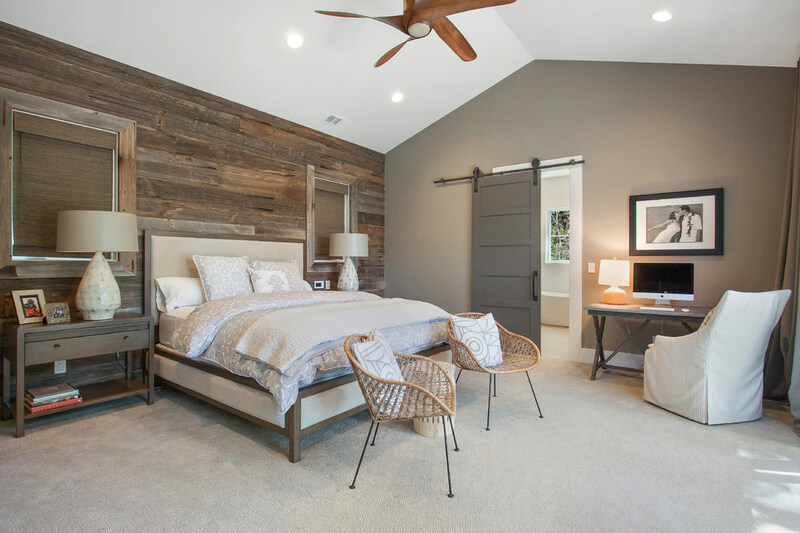 For the floor, you may look no further than wooden boards or hardwood. 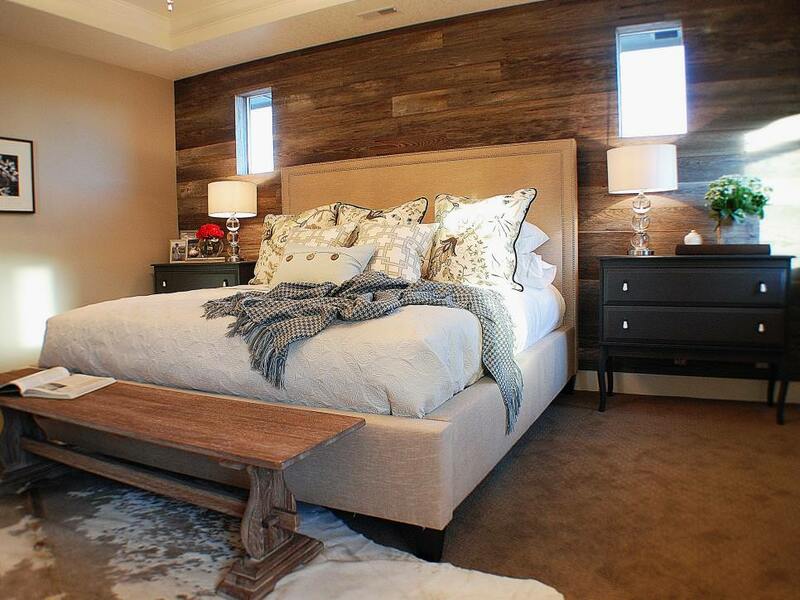 However, you may look into tiles with a wood finish. 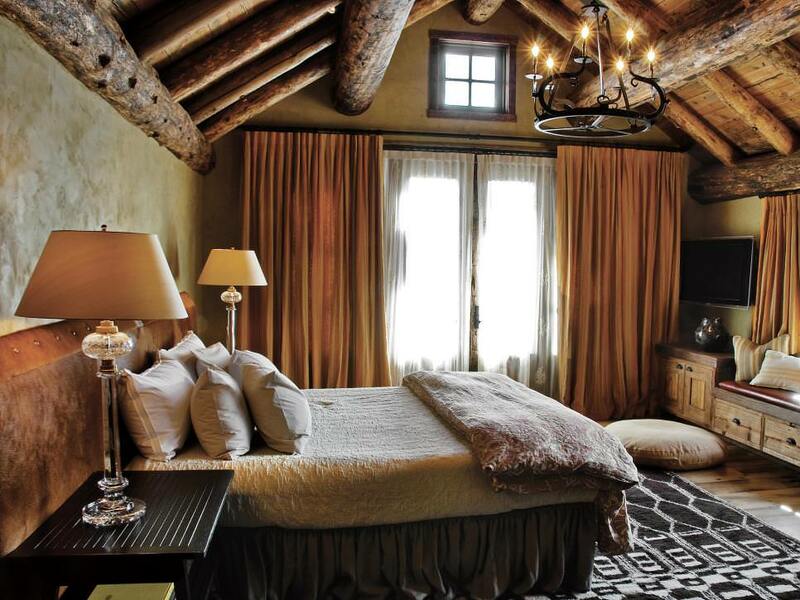 A dishevelled area rug or one in the centre of the bedroom will definitely not be out of place in your rustic retreat.